The School Corps of Drums and OW Drums will be having a joint celebration on Saturday 4th July at Whitgift Sports Club from 6.30pm – 1am. The evening will include a concert from the OW Drums, followed by Beating Retreat from the School Corps of Drums, followed by a 2 course buffet meal with drinks available at the bar. 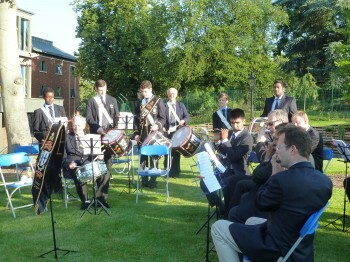 Come early and watch the cricket and stay for the Corps of Drums evening afterwards. It’s hoped the event will recreate the atmosphere from OW Days of the past. Tickets are £25 per person and all are welcome – partners, family, friends etc. no previous connection to the Corps of Drums is required. For more info and to book tickets, please email: owdrums@yahoo.com or phone 07904 621308.